After a recent redesign, the 2018 Kia Cadenza has arrived to deliver a silky smooth ride and a truly elegant cabin – and you get it all at an excellent price. Why Buy the Kia Cadenza? If you’re looking for an affordable alternative to the modern luxury sedan, you’ve found it in the 2018 Kia Cadenza. This large, full-size sedan rides smoothly over rough pavement, offering stiff competition for brands like Lexus and Lincoln. Inside, you’ll find premium materials and every available extravagance, from quilted leather upholstery to a 12-speaker Harman Kardon premium audio system. 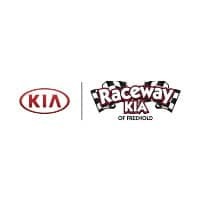 Which Kia Cadenza Should I Buy? The 2018 Kia Cadenza is available as three different trim models: the handsomely equipped Premium, the savvy Technology, and the fully loaded Limited. The model you should buy is the one that speaks to your personal needs – and fits into your budget. In the Cadenza Premium, you’ll find a nicely equipped luxury sedan. Inside, leather upholstery and eight-way power-adjustable front seats make any ride more enjoyable. The standard 7-inch touchscreen and Apple CarPlay and Android Auto connectivity help you interact with smartphone apps without looking away from traffic. The Technology trim model includes a 12-speaker Harman Kardon premium audio system, sprucing up your slogs through rush-hour traffic with crystal-clear sound. Inside, LED interior lighting helps you locate your carry-on items after hours. LED headlights and foglights cut through stormy weather, boosting your visibility and ensuring that nearby traffic can see you coming. In the Limited, you’ll find everything you could possibly want in an upscale sedan. Its exclusive features include upgraded leather upholstery, which increases comfort and gives the Cadenza an enhanced air of luxury. The heads-up display projects vital data on the windshield, so you have everything you need to know in your direct line of sight. The power rear sunshade helps keep the cabin cool on a hot summer day. Is the Cadenza Front Wheel or All Wheel Drive? The 2018 Kia Cadenza uses an eight-speed automatic transmission to send power to the front wheels. All-wheel drive is not available.However, you’ll appreciate the 3.3-liter V6’s smooth ride. It delivers 290 horsepower and 253 pound-feet of torque for luxury-level acceleration. What Features Does the Cadenza Have? When you shop for a 2018 Kia Cadenza, you can have almost any comfort and convenience you can dream up. With standard keyless entry and ignition, you can simply hop in and hit the road. The excellent infotainment system displays important smartphone apps on the central touchscreen, keeping you from looking down at your phone in the midst of traffic. All models include leather upholstery, so you can’t help but feel like you’ve spent big bucks on a luxury model – though, of course, you’re saving a bundle with the Cadenza.